I've had these for two years now and have used them on a variety difficult jobs (car repairs, rusty boat trailers, sailboats, outboard motors, and lawn mowers) and have yet to round off a bolt head or nut. I have broken bolts but that is not the fault of the wrench. Just be careful taking them in and out of the case, as I have broken off a tab or two from the slots. These are an excellent value for the money. Highly recommended! 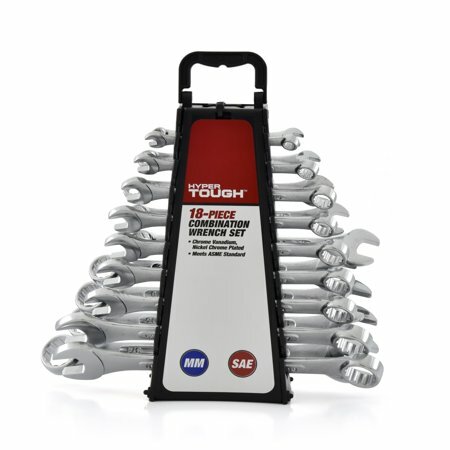 I've only used these a few times, but I think they are a fantastic set of wrenches for someone buying their first set. I bought these for general around the house work, and they have done great so far. I would definitely get them again. I haven't used them much but set appears to be a good value. Also, I like the storage case. I'm more of a craftsman guy for their warranty, but was out of state and in a pinch so i bought these in store. They feel like lower quality in terms of weight and texture, but after having them for some time now they deserved a good review. I've put these to work on tractors, grass cutters, cars/trucks, power washers, and my daughters toys. No matter what job I gave them they wouldn't strip or break! I don't care much for some of their other tools, but for this price and the job they do..DO NOT hesitate! Only reason for 4 stars is they seem prone to rusting. I keep them with all my other tools and no matter what I use to clean/oil them, they start rusting here and there. Quality wrenches on the cheap. I would give this wrench set a 4 star rating but I can't review all sizes as Walmart sent me a set missing the 13mm wrench.